The Jerome Dreyfus Alain bag is quite stunning. It comes in four different colours - black (one smooth calfskin, one laser-cut calfskin), stone (a grey velvet calfskin), verdigris (a greenish grey goatskin) and Nuts (brown calfskin). All of them beautiful but my passion for grey remains and choosing the Alain in stone wouldn't require any deliberation. 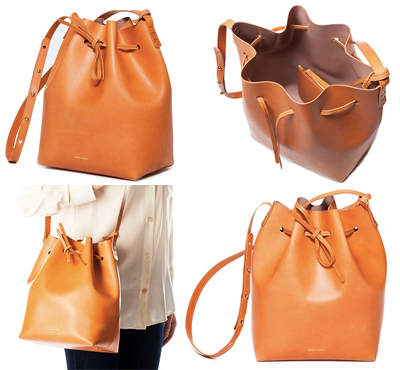 Mansur Gavriel has been much talked about over the last year or so. Great for the brand but not so great as products become hard to get or sell out altogether (my first post about Mansur Gavriel is here). 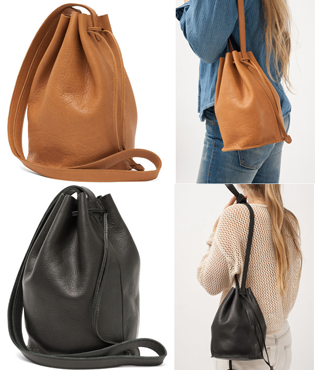 The bucket bag comes in three colours with a variety of resin coated interior colours. 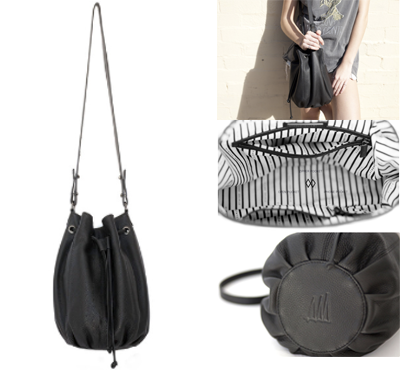 Like much of the range from Tila March, the Romy is an elegant, classic bucket bag that you would use for many years. 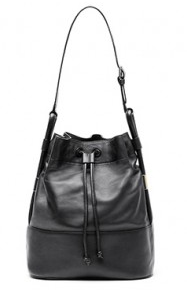 Australian brand Status Anxiety has a great black leather bucket bag at a very reasonable price. They ship internationally and free shipping within Australia for orders over AUD$99. 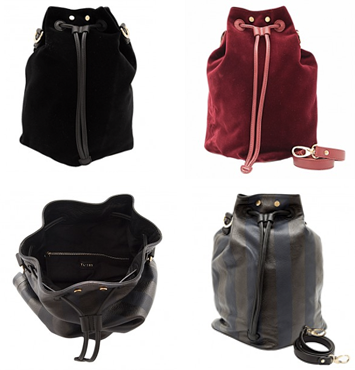 TL-180 make a classic bucket bag in three different styles - a striped black and blue calf leather and a red or a black velvet for people who want a classic bag with a twist. 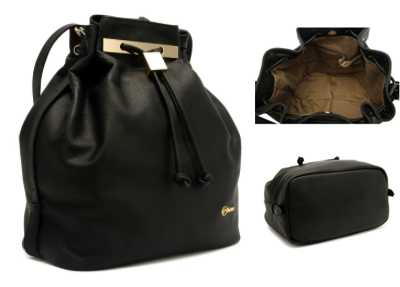 This bucket bag comes in black, tan and purple high quality lambskin with gold hardware. The black is a stand out for me. If you are looking for some colour in wardrobe, the Rio bucket bag comes in a vibrant red but remains classic in style. 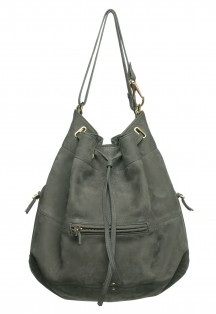 The exterior zip pockets and tassels make this bag feel a bit edgier than the other bucket bags on this list. 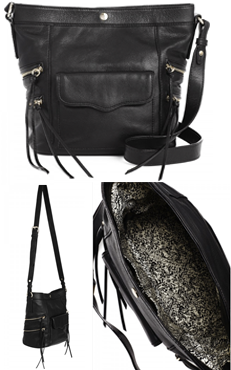 It's very reasonably priced and would be an excellent every day bag. No wonder it's sold out at the moment - it's such good value while being a modern, minimalist style. Make sure you check their site to see when it's back in stock. They also have collaborated with Brooklyn-based All Knitwear to make awesome knit hats and colour-block cotton canvas bags and backpacks.